While the Fourth Of July is officially America’s Independence Day, July has asserted itself as a Patriotic month as a whole, and the Swoosh Brand is taking advantage of that notion with red, white, and blue colored selections. 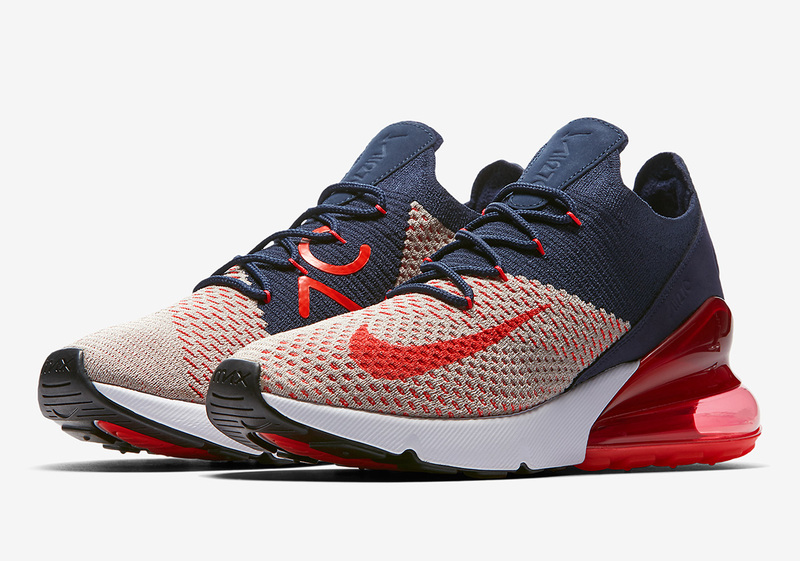 Next up to join those ranks is the Air Max 270 Flyknit that comes dressed in a fitting combination of College Navy, Blackened Blue, and Red Orbit, with white and black mixed in for contrast. Red Orbit is responsible for the key elements of this particular selection, as it can be seen on its lifestyle-engineered heel unit as well as its forefoot lateral Swoosh and its medial 270 branding. Female Nike fans looking to add this Patriotic 270 to their collection can do so right now by heading over to Nike.com and picking one of for $170 USD.